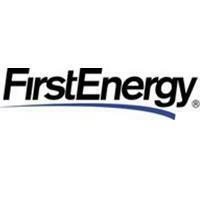 FirstEnergy Corp. said on Thursday that Jerry Sue Thornton, 68, has been elected to the company's board of directors. Thornton, former president of Cuyahoga Community College (TRI-C) in Cleveland, Ohio, currently serves as president emeritus at TRI-C and is CEO of Dream Catcher Educational Consulting. "I welcome to our board Dr. Jerry Sue Thornton, who has extensive executive management experience and is a recognized leader in the Northeast Ohio community," Lead Independent Director George Smart said. Thornton joins FirstEnergy after a long career in the education sector. Prior to her tenure at TRI-C, she served as president of Lakewood Community College in White Bear Lake, Minnesota, and as dean of arts and sciences at Triton College in River Grove, Illinois. Other changes to FirstEnergy’s staff include the retirement of Catherine Rein and Wes Taylor from the board, effective May 19. In addition, FirstEnergy’s executive chairman, Anthony Alexander, will step down from the board on May 1. These changes will reduce the size of FirstEnergy's Board to 13 members. "Cathy and Wes have served FirstEnergy for 14 and 11 years, respectively," Smart said. "They provided wise counsel and business expertise through periods of challenge and growth, including our merger with Allegheny Energy in 2011. We thank them for their years of service and wish them well in the future."